let you know if they're worthwhile. This week's albums have nice, unusual sound combinations, careful arrangements and a welcome sense of fun! The album starts off in a positive, fun mood and gradually descends into heaviness and seriousness. This is, after all, chamber jazz. The unique, singable repeated melodies in the first couple of cuts are selling points, and the playing is very strong at times. 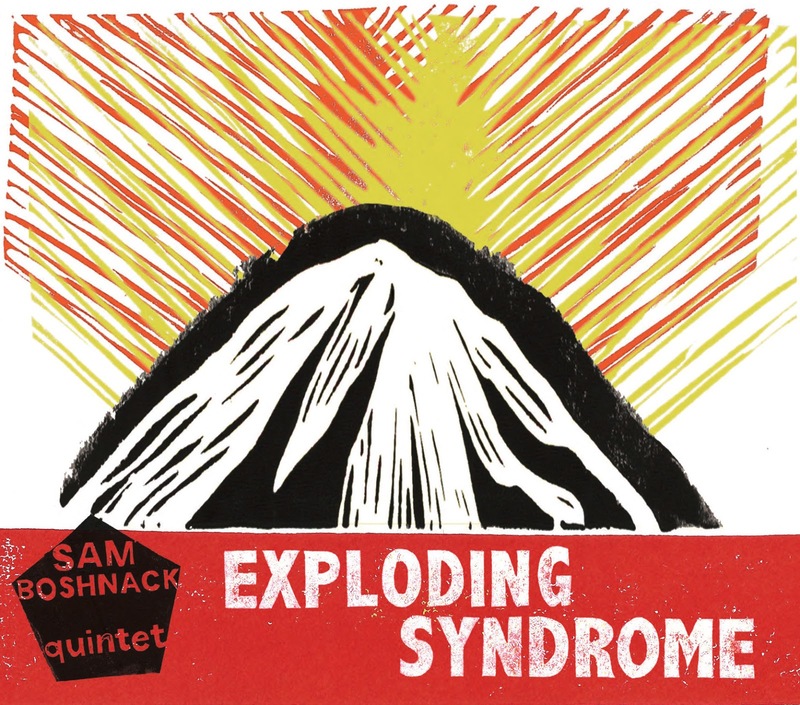 These are very, very well groomed compositions with fun twists and turns; the players obviously love the music; all originals penned by Boshnack. The sounds and instrument combinations are almost always delightful. The best cut is "Suite for Seattle's Royal Court Movement 1"'; "Juba" and "Dormant" also are ear/brain pleasers. The album lost a point for the slowly building headiness and especially for the crazed vocal moment in the title track (the only actual "exploding" on the cd) it's rather ridiculously out of place and disconcerting, it briefly ruins the otherwise superb vibe. Still - this is fresh and vital music performed exuberantly. Looking for something different and satisfying - this is it. With one of the best baritone sax sounds on earth - it's hard not to thoroughly enjoy this release, with the killer Clayton/Hamilton rhythm section in peak form, and the striking combo of guitar and bari, Anthony Wilson being the perfect foil for Schroeder in every way. Much of the album has a playful and lighthearted mood, thanks to selections like Duke Pearson's "Hello Bright Sunflower" and the old standard "Wrap Your Troubles in Dreams". There are some unusual and striking surprises like Sam Coslow's "In the Middle of a Kiss" and Thad Jone's title track. 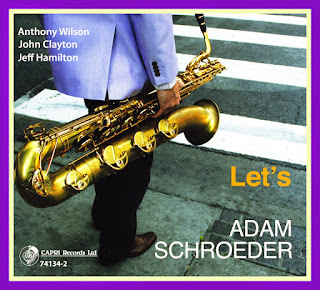 Adam Schroeder is also blessed with sheer musicality; he's always saying something, and often just enough, only breaking into bebop staple licks (very well executed) on the burner "A Hawkeye, a Hoosier & Two Call Cats". The ballads are lovely and meaningful. The best tune is a Schroeder original - the funky and fun "Just Clap Your Hands", written for his daughter. 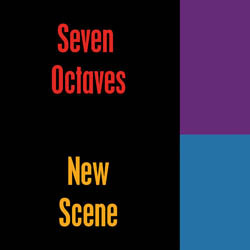 Great jazz in the new millennium - you will enjoy this one.